On Wednesday 20 and Thursday 21 February, our Junior 2 pupils presented their individual projects to pupils, parents, teachers and judges at the Dollar Academy Junior Science Fair. All current Junior 2 pupils participated in the event. It was clear that everyone had worked very hard to create their very own science project at home. The pupils completed the projects on a topic of their own choice. 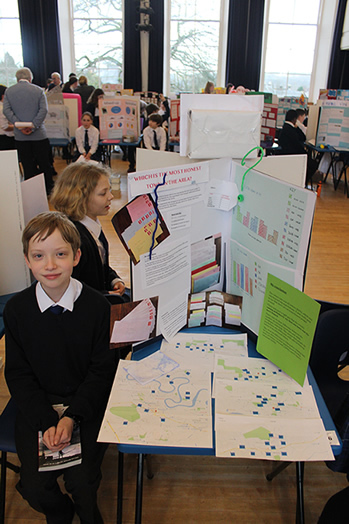 Pupils presented their projects to the judges on Wednesday 20 February. All projects were made into creative displays, some featuring props if appropriate. The judges took the time to talk with each individual pupil and assess their work. On Thursday 21 February, the winners of the Science Fair were announced by the Rector.